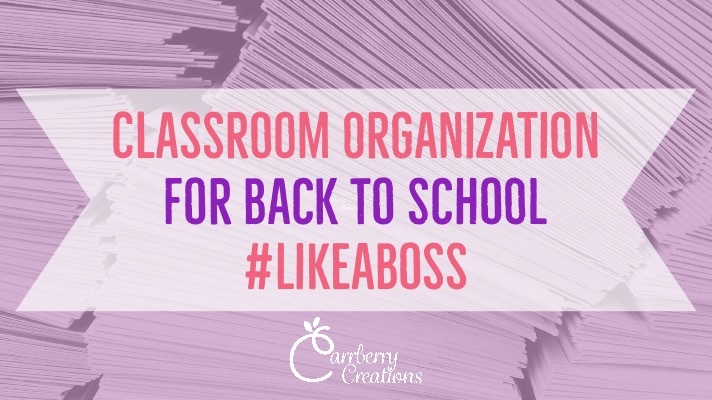 Classroom organization is one of those things that can really make you or break you this year. Too often teachers neglect to organize the most important aspect of our students’ experience in our classroom, our teaching. Every back to school season it is so easy to become a Pinterest and Facebook stalker of other people’s “Classroom Reveals.” I don’t know about you, but looking at other people’s classroom designs often keeps me up at night. 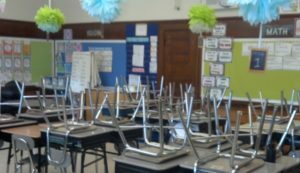 My back to school classroom look is clean and neat and orderly, but never going to be Pinterest famous, and that’s ok. After all it’s not even important anyway…. not really. One of my good friends has a seriously Pinterest worthy classroom every year. I mean seriously, she missed her calling as an interior designer. Every year though, she spends so much time on her Ah-Mazing looking classroom that she RUNS OUT OF TIME FOR WRITING LESSON PLANS….. Yes I meant to scream that. Fortunately I love this friend of mine, and I know she will do this every year, so I make sure to make 2 copies of all my plans, activities, and handouts for the first week of school and hand them to her. She has never not needed them… ever. Now don’t get me wrong, it’s not that my friend is not a good teacher, in fact I think she’s fabulous. It is just that when back to school hits and her Facebook is flooded with classroom reveals, and her Pinterest is recommending a million great ways to set up your classroom this year, she kind of looses her head bit. Make sure you have clean desks for students. Cover your bulletin boards with something (I use fabric, most people use bulletin board paper, some people use plastic table cloths or paint the boards) and don’t worry about what you are hanging on them. PLAN. You will fend off a lot of troubles for the rest of the year by having a well planned first week of school. If your district doesn’t give you a pacing guide I recommend starting there. 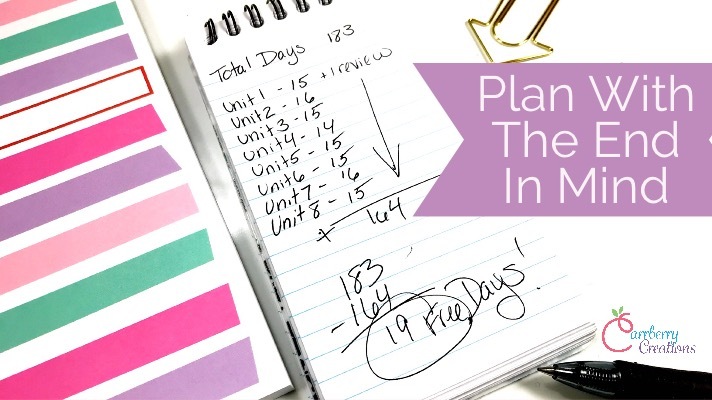 If you have a math/reading/writing/etc program that you are mandated to follow figure out exactly how many days of plans that it includes. Compare it to the amount of days you have to teach it. For example, my school is in session for 183 student days. My math program has 150 lessons plus 10 assessments. Assuming I would like to have a review day before every assessment that equals out to 170 days accounted for in my lesson planning, leaving only 13 school days for me to plan what I want to for math. Those days would likely be seasonal or holiday activities. I can sprinkle those days in on my pacing calendar, and have a good handle on where I should be at throughout the year. This will keep me on track to finish the math program by the end of the year. I do this for every subject that I can. Next plan your second week of school. This sounds weird, but it really works. The second week of school is a (mostly) normal week. While the first week of school is usually shortened, filled with interruptions, and teaching of procedures, the second week you should start getting into the meat of your curriculum lessons. Write out your plans for week 2, then walk through them, to see if there are spots you feel students will need some extra directions. If you discover that there is a routine you need to teach them for week 2 put it on your routines list. What will back to School Week Be Like this Year? Then plan your first week of school. Start with marking down any assemblies that you know will be happening and then fill in the rest. It is easy to miss, but make sure to teach hallway and cafeteria expectations in ADVANCE of them needing to walk into the hallway or to the cafeteria. Your lesson plans should directly teach the routines on the list you made when you organized your plans for the second week of school. If you think one of the routines would be best served with an anchor chart write a sketch of it on a post it note and stick it on any one of your bulletin boards. Last, use the sticky notes you just made to plan out your bulletin boards. Title all your bulletin boards with what information you would like them to eventually house. (Don’t know if you can see it in the pic above but one board is labeled “math” and the other “reading”.) Then start turning your post it notes ideas into those charts you wanted (where appropriate). For any chart you want to make with your students the first week of school, get a chart paper/poster board and put the title of the chart on it, so it is ready and waiting. If you run out of time you can always grab some quick decor solutions up on Teachers Pay Teachers (many of them are even free – like the math anchor charts pictures to the left of my math board above), print them, and pop them up later. Remember, if back to school Pinterest and classroom reveals are keeping you up at night, you didn’t become a teacher so you could design pretty spaces. You can always add to/improve the way your room looks throughout the year, but you can’t ever get those first days of teaching back. 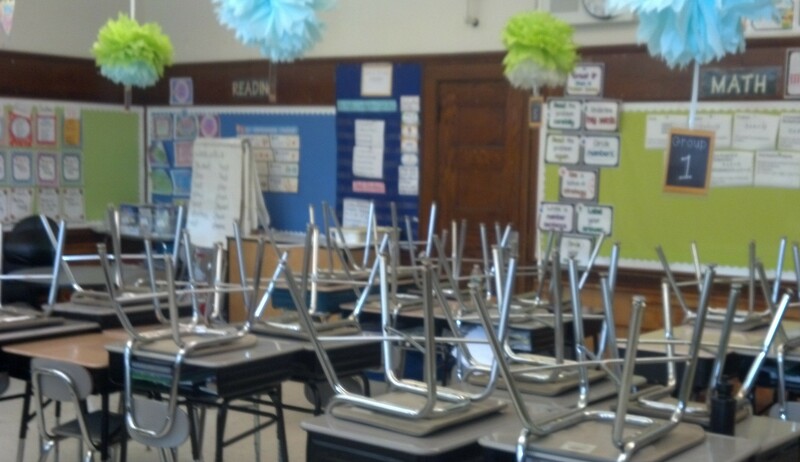 Getting your Classroom Organization in order sets you off on the right track. You became a teacher so you can TEACH. Put that first and the decor second and you will have a better start to your school year. Mary, I absolutely agree with you that a Pinterest classroom is not a number 1 priority, and a beautiful classroom does not make a fabulous teacher. I love your ideas. Mary, your reminder is so right-on! Spending so much time getting your room looking “just right” is tempting, but that valuable time could be spent on developing fantastic curriculum. I’ll remember this on Thursday when I can actually access my room for set-up. Good luck on Thursday! It’ll be great! Great suggestion with the pacing guide. Thanks!